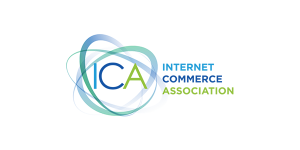 The Internet Commerce Association (ICA) is organizing a public webcast which will highlight the ICA’s policy positions and interests. Pricing policy arising from the differences between legacy extensions which were originally created by the US Government for the public benefit and the new sponsored gTLD extensions that were bought and paid for by for-profit businesses. The move by the Australian Domain Administration to further restrict domain name investing and monetisation in .au domain names. The webinar is structured as an update to the ICA’s membership from the Executive Director, Kamila Sekiewicz, and General Counsel, Zak Muscovitch. During the Question and Answer portion priority will be given to questions submitted by ICA members. Because the issues at stake are of importance to the ICANN community at large, ICA is opening up the call to the public, so that everyone with an interest in the domain name policy can watch and listen.